On May 13th, a mine explosion in the western town of Soma, Turkey, triggered an underground fire which killed more than 300 coal mine workers. This was not the first coal mine disaster in Turkey but it’s the deadliest mining disaster in Turkey’s history. The tragedy has raised questions about the impact of neo-liberal and privatization policies of the ruling Justice and Development party (AKP) and its far reaching impact on the lives of millions of workers in Turkey. On this edition of Voices of the Middle East and North Africa, we will have a conversation with Erdem Yörük, an assistant professor of sociology at Koç University in Turkey about the the impact of the politics of the AKP party on workers’ rights and safety in coal mines and other hazardous industries in Turkey. According to a report on the BBC, mining safety incidents are not new to Turkey – Around 13,000 miners suffered accidents at work in 2013, according to the Turkish Statistical Institute. On average, for every million tons of excavated coal, more than seven miners die every year, according to a report by the Economic Research Foundation of Turkey (TEPAV). Many blame these accidents on loose regulatory standards and privatization. Since the state leased the mine to the Soma Holding Company in 2005, the company has cut mining costs by up to 80 percent – most likely at the cost of worker safety. Just weeks before the disaster, the ruling Justice and Development Party (AKP) voted against a motion in parliament calling for a thorough inspection of mines throughout the country. “We are sick of going to the funerals of miners. We have to do something to stop these fatalities,” said Ozgur Ozel, an MP from the Republican People’s Party (CHP), who called for the inspection. Five company officials, including the mine’s operating manager, Akin Çelik, have been arrested on charges of causing death by negligence as part of an investigation into the disaster. Later in the program we will have a conversation with John Lee, Associate Professor of history at UC Santa Barbara and Dr. Jaleh Niazi of HistoryAdvocates, about a new campaign to bring radical change in the way ancient Persian civilization is being taught in California K-12 public education. Jaleh Niazi is a member of the History Advocate campaign, an effort to correct California schools’ biased representation of ancient Persian civilization. You can learn about the campaign at historyadvoctes.com. On today’s show, we will explore Saudi Arabia’s regional ambitions in the Middle East and how US-Saudi relations are evolving. Last week, amidst media reports of tension between the two countries, U.S. President Obama visited Saudi Arabia to meet with Saudi King Abdullah. Though Saudi Arabia has always been a staunch US ally, of late, foreign policy differences have arisen between the two countries. On this edition of VOMENA, we will explore Saudi Arabia’s regional ambitions in the Middle East and how US-Saudi relations are evolving. Shahram Aghamir interviews Toby Jones, a historian of the modern Middle East at Rutgers Univeristy. He is the author of Desert Kingdom: How Oil and Water Forged Modern Saudi Arabia. 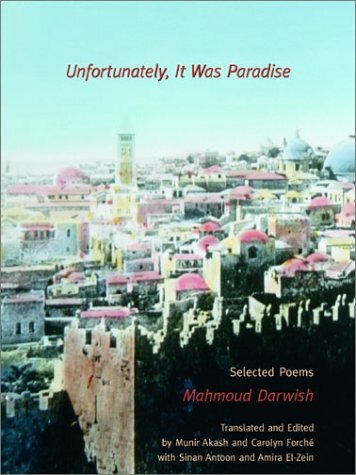 April is National Poetry Month and this week we are bringing you some of the poetry of the Middle East’s most celebrated poet, Palestinian Mahmoud Darwish, translated by Iraqi poet Sinan Antoon, author of Baghdad Blues. Unlike its less fortunate neighbors to the east, since the fall of its long-time dictator Tunisia has so far managed to stay free of major violence and disorder. Host Khalil Bendib interviews Tunisian political scientist, Nadia Marzouki, a Jean Monnet Fellow at the European University Institute in Florence, Italy, about the recently passed Tunisian constitution. 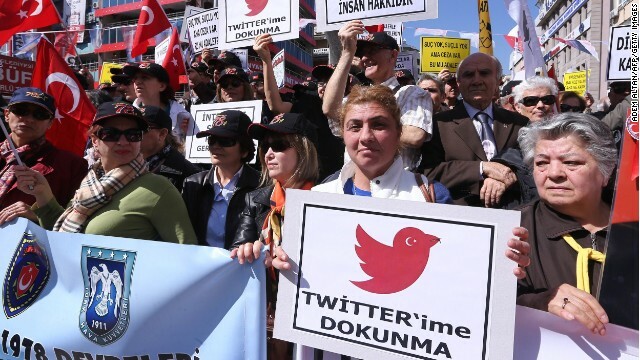 On Thursday evening, Twitter users in Turkey were welcomed to their screens by the message “Twitter is blocked in Turkey by court order.” What was behind this daring move by the Turkish government and why has Prime Minister Erdogan decided to lash out primarily at Twitter? Host Malihe Razazan put these questions to Alexander Christie-Miller, a Turkey-based freelance journalist who writes for the Times of London and Christian Science Monitor. A Turkish court just overturned the ban, and the government has 30 days to restore Twitter service to the country. Global news network, Vocativ, recently revealed that despite Erogdan’s dislike of the social media network, he has an “army” of fake accounts posting content supportive of the Prime Minister’s party and politics.